LINDENWOLD, N.J. (WPVI) -- Camden County, New Jersey's Mosquito Commission is monitoring mosquitoes for the Zika virus, even though there have been no reports of infected mosquitoes on the U.S. mainland. Freeholder Carmen Rodriguez, the liaison to the county health department, says, "The Camden County Mosquito Commission regularly checks several thousand suspected mosquito breeding sites across the county. Spraying is scheduled on an as needed basis based upon the results of their surveillance efforts." But Rodriguez is worried that Zika is not getting the attention it deserves. "Zika is a virus that has the potential to do a lot of damage, a lot of harm," she said during a news conference today. "But Zika is very easy to control, where we are," she added. Mosquito control, plus rapid identification are essential to the fight this year. Camden County is one county that does some of the most aggressive testing in the state," she says. She also wants health officials about all the zika-infected people in the state. But Rodriguez is concerned many cases will be missed because Zika infections are often mild. If an infected person is bitten by a mosquito capable of carrying Zika, the mosquito can spread it to others. She urged everyone who develops flu-like symptoms to report it to a health care provider, so they can be tested and professionally checked. She says there have been several county residents who acquired Zika infections overseas. There have been no cases transmitted locally but they want to be proactive. Zika virus can also be sexually transmitted. 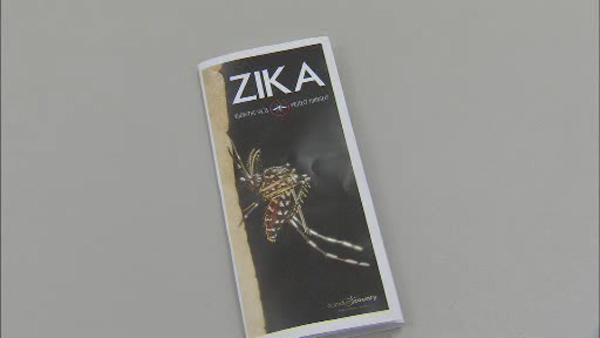 Symptoms of Zika include fever, rash, joint pain, conjunctivitis, muscle pain and headache. Zika virus has also been linked to serious birth defects such as microcephaly. "Whenever you are outdoors you should apply insect repellent to exposed skin, especially between dusk and dawn when mosquitos are most active," Rodriguez said. "To protect your home, be vigilant about removing any standing water around your yard where mosquitoes can breed." Zika typically occurs in Africa, Southeast Asia, Mexico, Pacific Islands, South or Central America and the Caribbean. However, infected individuals coming from countries that have ongoing Zika concerns could introduce the virus to mosquitoes in the US initiating local transmission.